CHILDHOOD VACCINE SCHEDULE: WHERE IS THE SCIENCE? 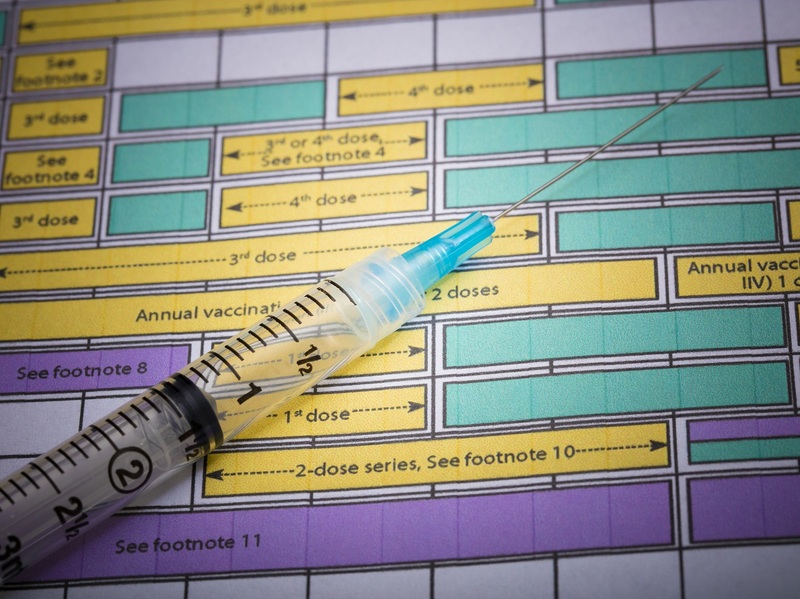 | "Global Possibilities"
Home » Health » CHILDHOOD VACCINE SCHEDULE: WHERE IS THE SCIENCE? CHILDHOOD VACCINE SCHEDULE: WHERE IS THE SCIENCE? The current federally recommended childhood vaccine schedule directs doctors to give infants and children 49 doses of 14 vaccines before age six. CDC and American Academy of Pediatrics officials insist that the childhood vaccine schedule is safe. A 2013 Institute of Medicine report clearly states that the vaccine schedule for children under age six has not been adequately tested for safety. Americans have been carefully taught to fully trust the recommendations made by medical doctors and public health officials, and many do trust without questioning. After all, we expect and want to believe that the recommendations being made by the “medical experts” are evidence-based and thoroughly tested for safety. In the case of the childhood vaccine schedule recommended by the U.S. Centers for Disease Control and Prevention (CDC) and American Academy of Pediatrics (AAP), the general assumption is that the safety of giving infants and children 49 doses of 14 vaccines between day of birth and age six has been thoroughly researched and proven safe. Many parents (and perhaps many pediatricians) would be surprised to learn there are a number of important unanswered questions about the number of vaccines, timing, the order and the ages at which recommended vaccines are given to babies and young children. Is the Child Vaccine Schedule Associated with Chronic Disease and Brain Disorders? Frequently citing a lack of enough quality scientific studies, the IOM committee was unable to determine whether the numbers of doses and timing of CDC recommended vaccines children receive in the first six years of life are—or are not—associated with health problems in premature infants or the development of chronic brain and immune system disorders in children, including asthma, atopy, allergy, autoimmunity, autism, learning disorders, communication disorders, developmental disorders, intellectual disability, attention deficit disorder, disruptive behavior disorder, tics and Tourette’s syndrome, seizures, febrile seizures and epilepsy. The IOM Committee also discovered that there is very limited information about subpopulations of vulnerable children, who may be biologically at greater risk for suffering vaccine injury and death. The committee found that evidence assessing outcomes in subpopulations of children, who may be potentially susceptible to adverse reactions to vaccines (such as children with a family history of autoimmune disease or allergies or children born prematurely), is limited and is characterized by uncertainty about the definition of populations of interest and definition of exposures or outcomes. When the IOM report was released in 2013, the National Vaccine Information Center (NVIC) issued a statement calling for transparency, independence and replication in future research to assess the safety of federal vaccine policies, including evaluating health outcomes of vaccinated and unvaccinated children and those using alternative vaccine schedules.6 NVIC also pointed out that there have been no studies comparing the differences in health outcomes between entirely unvaccinated populations of children and those receiving all government recommended vaccines on schedule. Parents have good reason to question the CDC’s childhood vaccine schedule when there is so little scientific evidence demonstrating safety being provided to the public. The lack of core science to support expansion of the childhood vaccine schedule is concerning because many states are in the process of mandating every CDC recommended vaccine for daycare and school attendance. If credible scientific studies and systematic reviews proving the long term safety of giving children 49 doses of 14 vaccines before age six do in fact exist, the CDC should make them immediately available to the public.